The all new Tiara 53 is powered by twin Volvo IPSII 950 with Joystick Plus control. The technologically advanced Volvo IPS power plants are matched to a successful ocean proven hull delivering a solid ride whether you’re enjoying a calm day cruise or pushing the vessel to get you to your favorite island getaways far offshore. A strong, sleek and elegant profile combined with an integrated hardtop and large, obstruction-free tempered, tinted windows add to her global styling. The salon and bridge deck with her 360 degree panoramic views open to the cockpit through sliding aft doors built with indoor/outdoor living in mind. Her Bow features concealed ground tackle and a through stem anchoring system which may be operated at the helm or adjacent foot switch on the forward deck next to the locker. An optional reclining sunpad cushioned lounge neatly engineered forward offers a luxurious spot for the sun worshipers. The salon features a single level deck from the cockpit forward to the bridge where a single step separates entertaining from the business of operating the vessel. One of the few designs that have not seen significant change will be the helm and dash featuring sensible ergonomic placement of controls and gauges leaving plenty of room for flush mounting electronics. 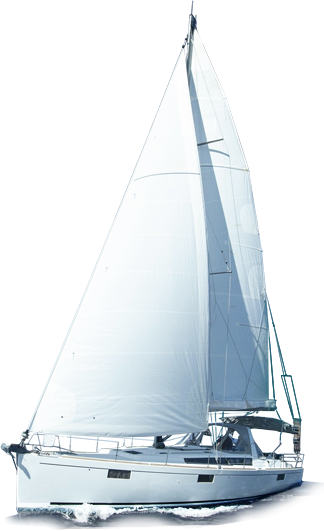 She will love this new Tiara 53 too. As you leave the smart and rugged designs of the exterior and finish admiring the innovative mechanical systems, the hard and soft goods featured throughout the interior appeal to what her sense of a yacht should be. Entertaining guests and enjoying the world of yachting can be shared by women and men alike. The smart and modern Tiara 53 seamlessly blends the strength and performance of the machine with the elegance of interior design and fabrics throughout. The full beam master lets the sun shine in through large windows port and starboard. The head with private shower has external venting. Large hanging lockers, cabinetry and a private sitting area all compliment the master. The master opens to a common atrium with a large pantry and washer/dryer concealed within a port side closet. The optional third stateroom would delete this option. The head is shared between the atrium and forward queen VIP Stateroom. True to the yachting lifestyle, most of your time on a new Tiara 53 will be spent entertaining in the salon and cockpit. The aft galley contains all the major appliances and large counter spaces to match. Quick and convenient access to the cockpit lounge seating and optional teak dining table make for effortless entertaining and dining. An optional hydraulic swim platform with access port and starboard by broad, safe steps brings you to the water world and can function as dinghy storage while underway. You can also utilize the storage space in the over-sized trunk engineered into the transom. The swim platform will feature drink holders at the water level, custom molded handholds and a smart ladder system for ease of entry. An extensive list of optional mechanical systems, exterior color choices, limited customization and interior decors are available to make your Tiara Yacht uniquely yours.